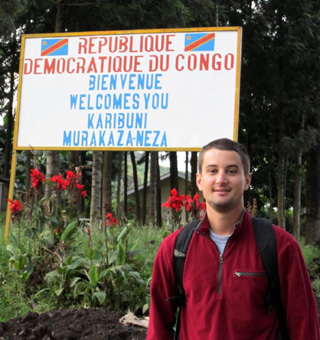 Rwanda, Uganda and Congo are located in the Virunga region one of the most beautiful places to be in Africa. The virunga region consist of a chain of mountains along the northern border of Rwanda, Congo, and Uganda. The mountains consists of 8 volcanoes most of which are dormant except Mt Nyirangongo & Mt Nyamuragira. other ranges include Mount Sabyinyo, Mount Karisimbi, Mount Bisoke, Mount Muhabura, Mount Gahinga and Mount Mikeno. 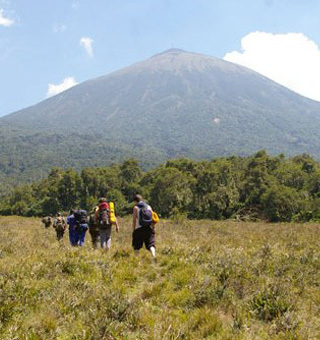 In Rwanda one can hike mount Karisimbi or mount Bisoke, while in Congo most travelers hike mount Nyiragongo. 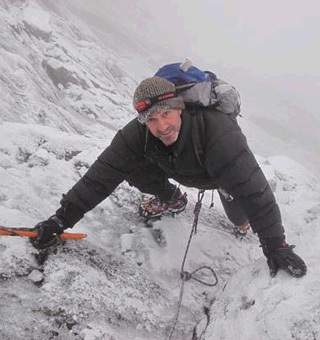 In Uganda mount Rwenzori is the most popular hiking destination among others like Mount Elgon and Mount Stanley. Click the links below for detailed information about hiking in the respective countries.